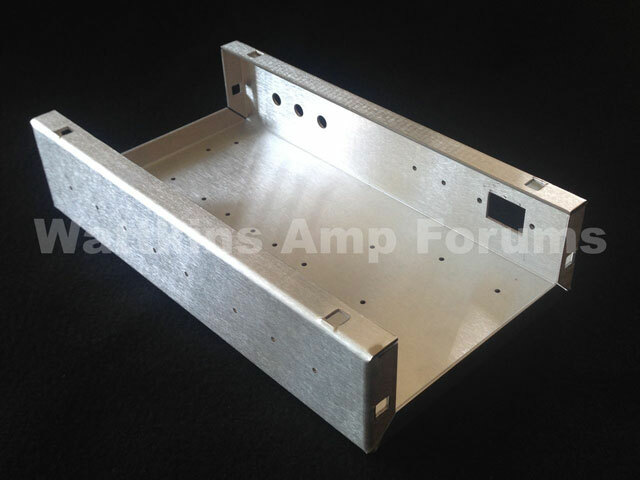 This is a very sturdy 12.25" x 6.875" x 2.75" chassis that is designed to be fully compatible with our Universal PCB and Tweed 5E3 PCB, as well as Epiphone Valve Junior-sized cabinets. 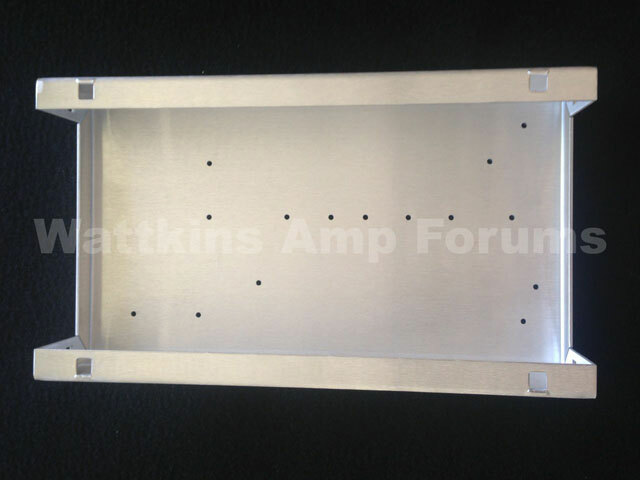 The chassis contains mostly pilot holes for maximum flexibility, and can be easily drilled to install most Guitaramplifierpcbs.com and Turretboards.com boards as well. The front panel has 8 pilot holes arranged 3 + 5 for switches/lamp and pots/jack(s). The top side has 15 pilot holes. This allows the builder to decide how many and what size of tube sockets to install. The pilot hole layout is similar to the larger Universal Chassis. The rear panel is pre-drilled holes for an IEC socket and three Switchcraft sockets and includes two pilot holes for fuse holders. 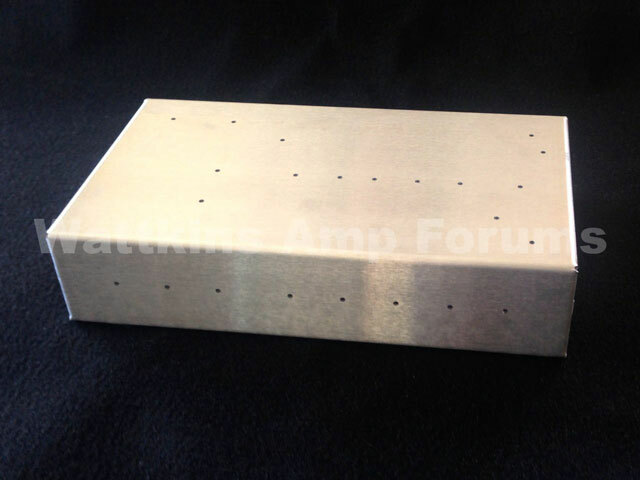 We added one extra feature - side mounting holes for cage nuts - to allow a cabinet base to be attached separately from the rest of the cabinet which allows easy access to the inside of the chassis. 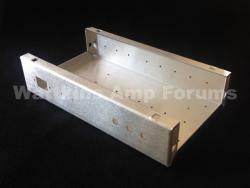 The chassis comes with 4x 10/32" cage nuts. Dimensions: 18in. × 12in. × 4in.